Once again, I have un-muted myself from one of my long silences to wish you all a very Happy and Healthy 2015. Every year, I set a New Year's resolution for myself. Usually it has something to do with being a better person, reading more, drinking more water and exercising and getting fit because, despite "best" efforts, the pant-and-dress-shrinking-fairy never misses a visit around the end of the year... and this year was no exception. However, this year, I have decided to not make a New Year's resolution. Similar to most of you, I used to think that there was something very magical when the clock strikes midnight on December 31st. A renewed sense of life rushes through you when the ball drops and you feel you have a clean slate, new opportunities and new chances of becoming a better version of yourself. 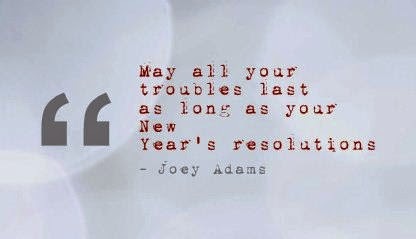 You think that you will be able to press "reset" on your life and that this year will be your year! This year will be different! NEW YEAR, FRESH START! I hate to break it to you, but there is no magic "reset" button on New Year (and there is no Santa Clause either)! 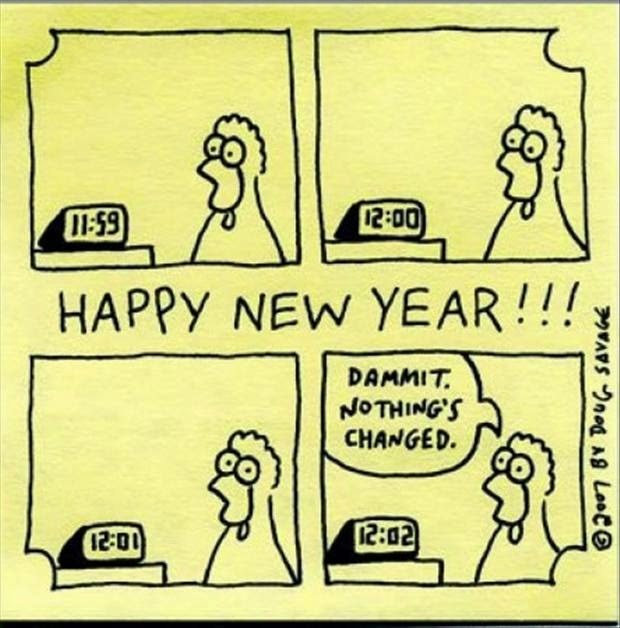 New Year's is not a life-changing event. You see, when the clock strikes midnight, your life does not reset and you do not get a fresh start, nor a fresh batch of chances and opportunities. When the clock strikes midnight, the only thing you are rolling in with the new year is a new daily planner. Let's face it, we are a little more than a week within the year and some of you have already likely broken your resolutions. 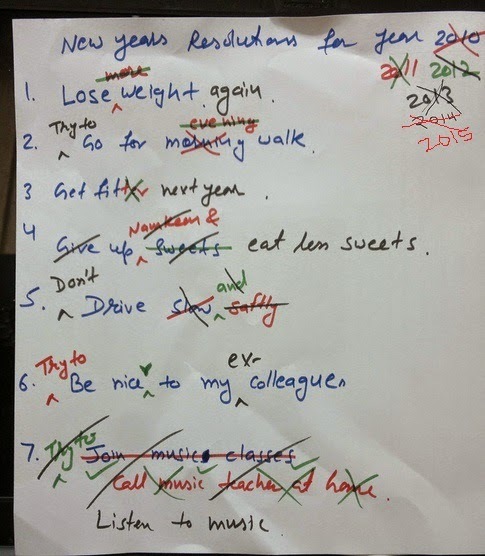 A New Year's resolution is more like a "to do" list for the first week or two of January. This year, I don't have a New Year's resolution... I have a New Day's resolution. I have decided that I don't need a new year to push me to improve myself. A new year is really just a new day so consider every day as a an opportunity to hit that mythical and magical "reset" button. Every year, for the festive season, I make a traditional Armenian dish called "Sou Boereg". It is savory pie with layers of buttered sheets of homemade noodles and heavenly melted cheese topped with more buttery noodles. It's a time consuming process but well worth every second! 1- Beat eggs, salt, water and cognac (or arak) by hand or with an electric mixer. Add the flour half a cup at a time. 2- Divide the dough into 6 balls. Place these balls on a lightly floured surface and cover with a tea towel. Let rest for 1-2 hours. Finely chop the cheeses and place in a bowl with cold water. Change the water every 30 minutes for a total of 2 hours. Drain cheese and wrap in a towel to dry completely. When dry, put the parsley, cheese egg and pepper in a bowl and mix until well combined. 1- Roll out each ball into a very thin dough sheet of 35cm diameter in size and then place the sheets over each other and cover them. 2- While preparing the dough sheets, fill a big pot with 20 cups of water and 3 tsp of salt. Turn on the heat and let it boil. Place each dough sheet in the boiling water for 30 seconds then remove it and immerse in cold water immediately. Place it on a towel to let it dry or squeeze the water out. 3- To prepare the pastry, coat a 40cm circular or rectangular pan with melted butter and put the first dough sheet in it. Coat it with melted butter then place the second sheet on top and coat it with butter. Repeat the procedure until the 3rd dough sheet. After placing the 3rd dough, spread the cheese filling on top and repeat the process of layering the dough sheets and melted butter until the dough sheets are finished. Coat the top layer with melted butter as well. Cut the “Sou Boereg” into squares and bake at 350F until top is golden. Sou Boereg in all its glory!